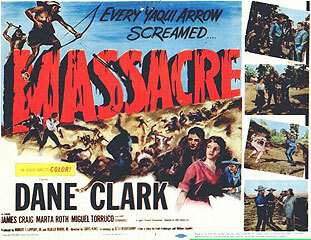 Indian treachery leads to tragedy in this made-on-location Western adventure with Dane Clark and James Craig as officers of the law who lead a small group of men into redmen territory to investigate reports of guns being sold to unfriendly Yaqui Indians. Every arrow screams death in an unexpected finale. Producer Robert L. Lippert, Jr.